Polyester materials are used as fibers, plastics, and films; in composites and elastomers; and as coatings. They are truly versatile materialsand thus are extremely important polymers. Fabrics woven or knitted from polyester thread or yarn are used extensively in apparel and home furnishings, from shirts and pants to jackets and hats, bed sheets, blankets, upholstered furniture and computer mouse mats. Industrial polyester fibers, yarns and ropes are used in car tire reinforcements, fabrics for conveyor belts, safety belts, coated fabrics and plastic reinforcements with high-energy absorption. Polyester fiber is used as cushioning and insulating material in pillows, comforters and upholstery padding. 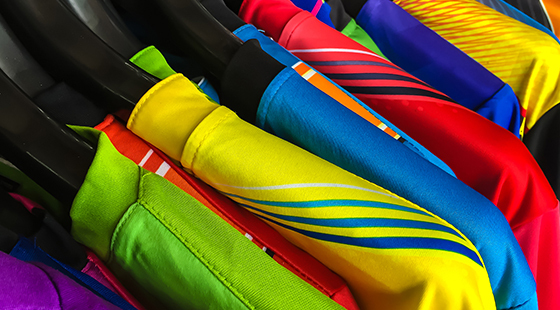 Polyester fabrics are highly stain-resistant—in fact, the only class of dyes which can be used to alter the color of polyester fabric are what are known as disperse dyes.